I am back from my trip to planet Carinthia. More pictures at the berka.se blog. I made this image using GIMP and the gas giant plugin. 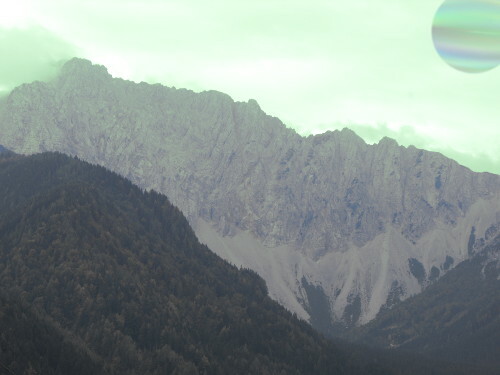 I changed the colors of the my image from Carinthia and then added the gas giant as another layer. Then I changed the opacity of the added layer to make it look good.